Plan the perfect destination wedding at our tropical paradise. All you need is love, and we'll handle the rest. Celebrate in the beachfront ambiance of the Margaritaville Beach Resort Playa Flamingo against a backdrop of colorful flowers, palm trees, and a stretch of golden sand, overlooking the Pacific Ocean. 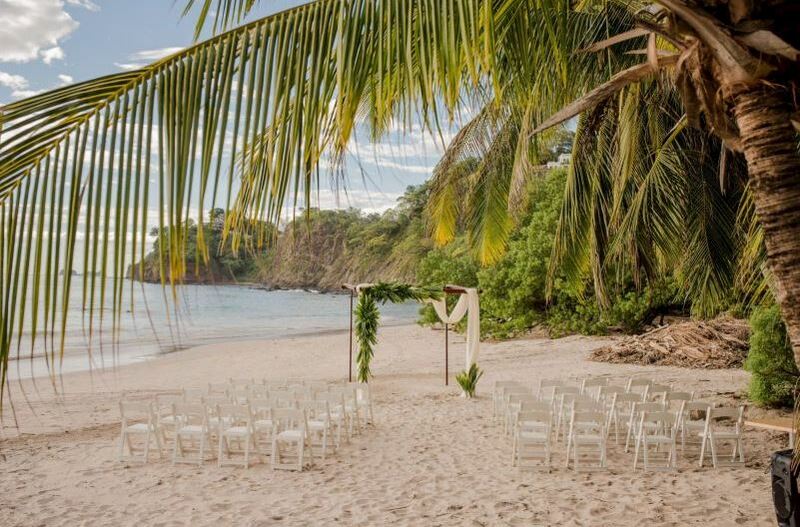 Experience a romantic wedding or event in an exotic destination that blends the tranquility of Flamingo Beach with the warm traditions of Guanacaste, Costa Rica. 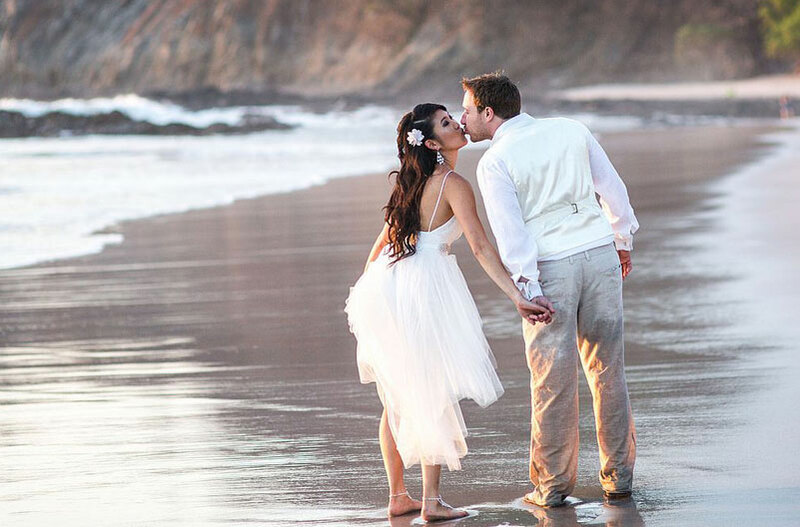 Walk down a flower strewn aisle of sand with a spectacular sunset as your backdrop. Enjoy a reception or dinner on our beautiful grassy lawn, beach, gardens, pool area, or rooftop patio restaurant. Or, celebrate in 3,264 square feet of indoor event space, including two spacious banquet rooms. Enhance every moment with vibrant local cuisine made from organic ingredients like Pacific Shrimp or Costa Rican Red Snapper. 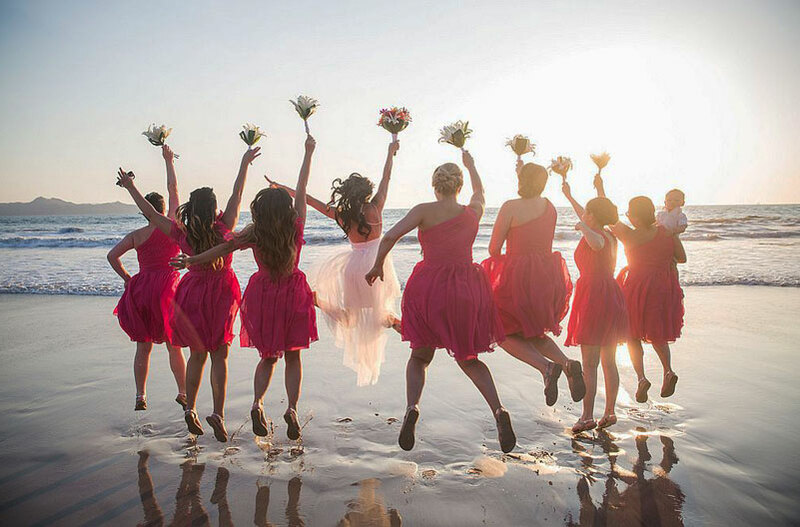 With its coastal vibe and beautiful beachfront venues, our resort is a stress-free destination for a Playa Flamingo wedding and the perfect place for making memories. Immerse yourself in the spirit of Pura Vida, the Costa Rican way of life. More than simply "Pure Life", these words have much more meaning throughout Costa Rican culture. It is a celebration of life, love, of the goodness that surrounds us and a go-with-the-flow mentality that melts your cares away. Nowhere is that more evident than the tropical paradise of Margaritaville Beach Resort Playa Flamingo . View our Digital Brochure and let's create your perfect event in Costa Rica. "Our children's wedding was booked a year in advanced and this team worked closely with our entire party to get us booked and prepare the group in time for the big event. From the time we arrived, to check out we were all treated like royalty. The team worked so hard to make sure we experienced a dream come true. The facility, rooms, and pool were perfect for a large group setting, and all the restaurants, and bars were fantastic as well. The License to Chill Pool Bar, was so much fun, and all the bartenders worked to personalize our experience. We all shared lots of meals at the Banana Wind Café, and each experience with food and staff were top notch. The team at Capriccios Pizza Bistro & Café made our rehearsal dinner a huge success. The wedding on the beach was absolutely beautiful and perfect for our kids. The wedding set up, the beach, and the music provided the perfect tropical atmosphere that so fits the personality of our kids. We would also like to give you all a double thank you for the order of perfect weather, and amazing sunset just for the occasion. 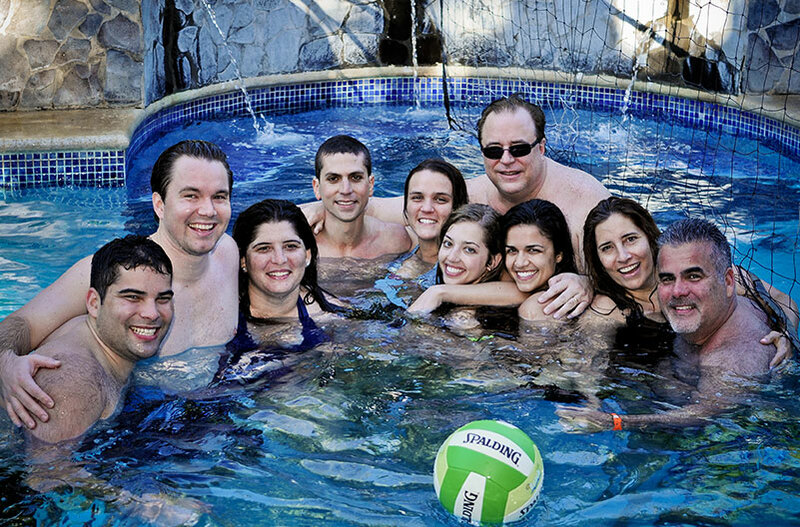 Celebrate the spirit of Pura Vida in the beautiful tropical setting of our resort. Start your love story on white sand beaches, enjoy wonderful culinary experiences and connect with exciting adventures. 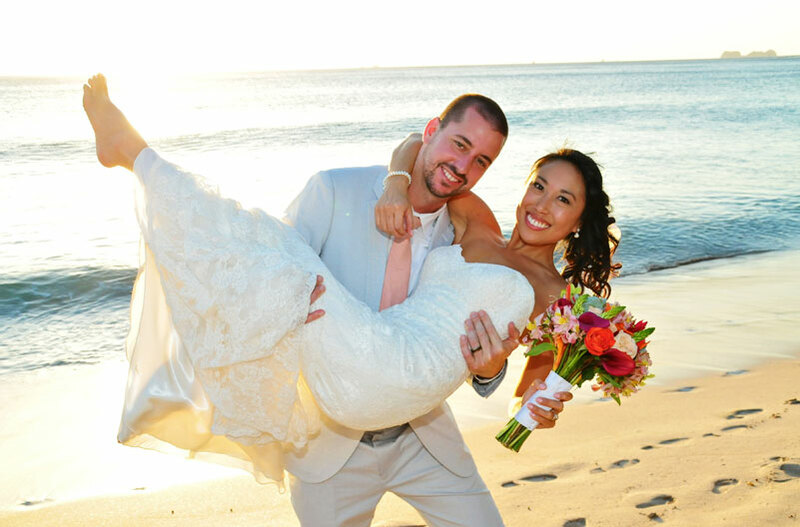 Spectacular golden sand beaches, beautiful tropical gardens, a luxurious spa and culinary creations from our executive chef make your dream beach wedding and reception unforgettable. Plan your Costa Rica dream wedding with one of our wonderful ceremony and reception packages, designed to indulge, pamper and delight you on the most special day of your life and beyond. Experience the true spirit of Pura Vida through our stunning collection of ceremony and reception images that showcase all that is possible for your own, unique destination wedding. Glistening sand beaches, warm azure waters, and international cuisine merged with local Costa Rican products and flavors welcome your group for an unforgettable destination retreat. 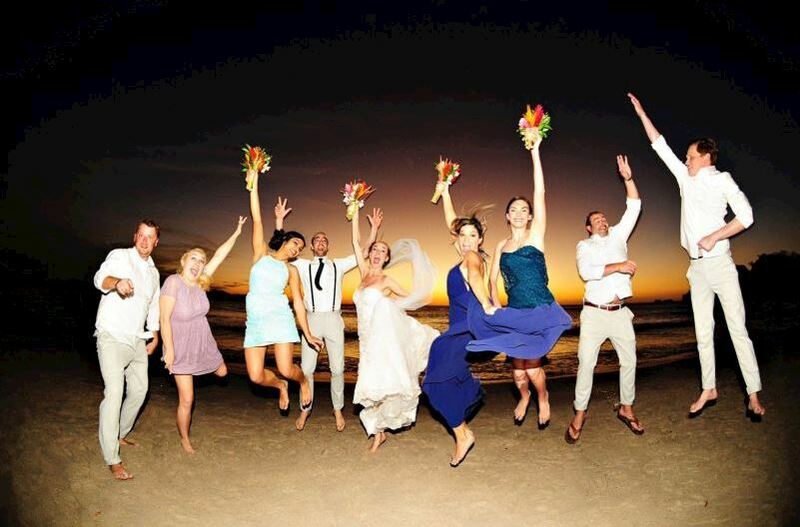 It has never been easier to start planning your dream wedding or group getaway in beautiful Flamingo Beach, Costa Rica. Request a group quote here and begin the journey to amazing memories.